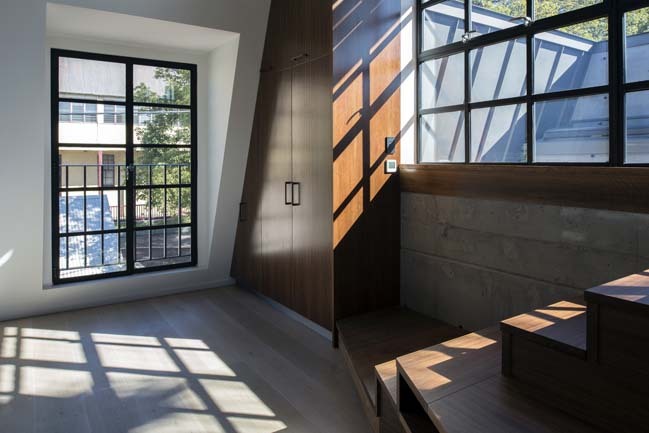 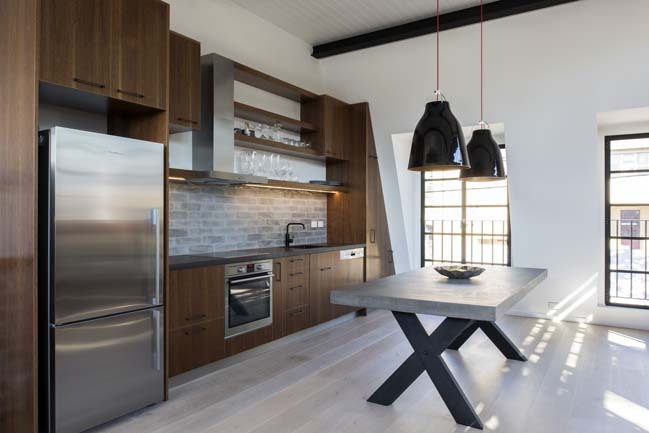 The U+I Building Studio completed the Glebe House that draws inspiration from previous centuries european architecture translated into modern details. 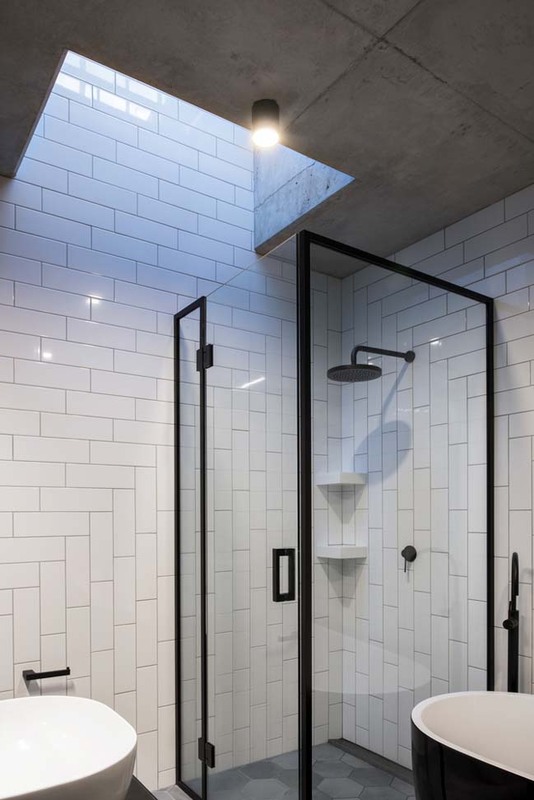 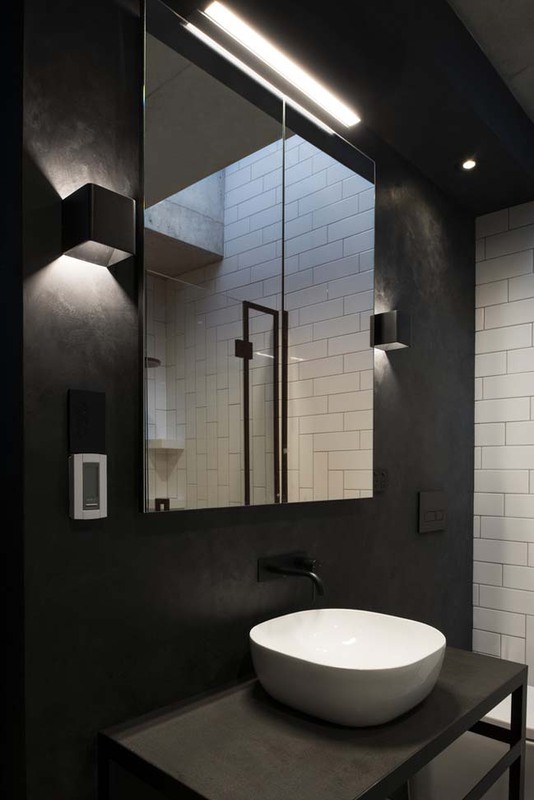 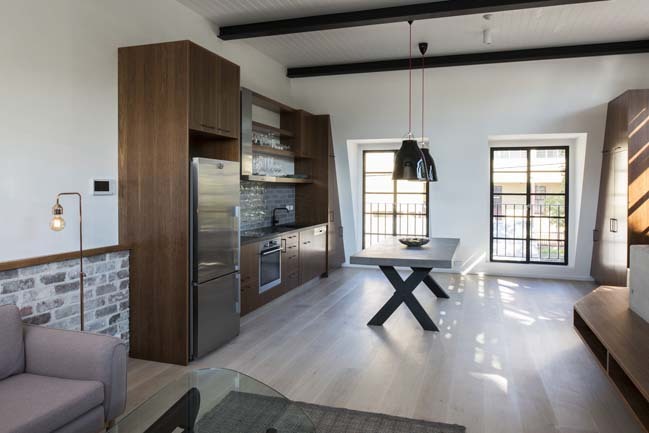 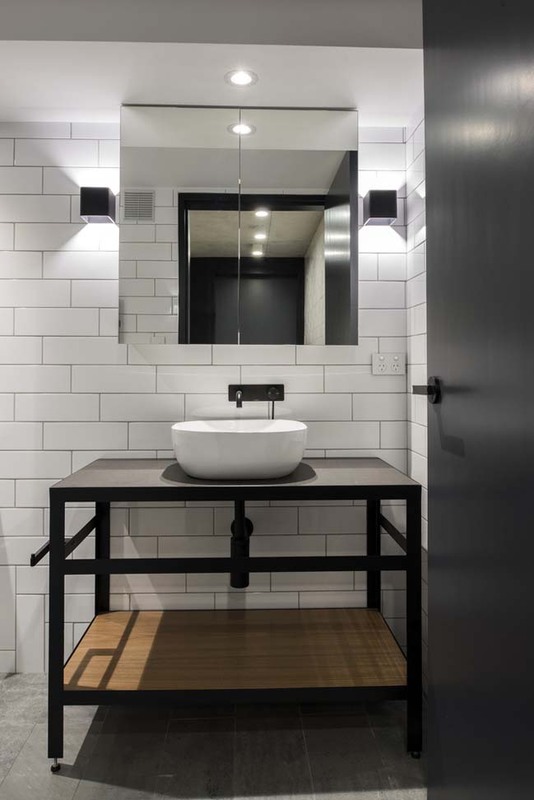 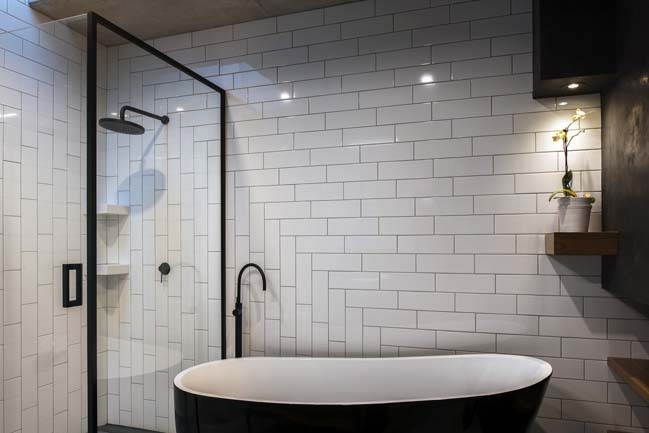 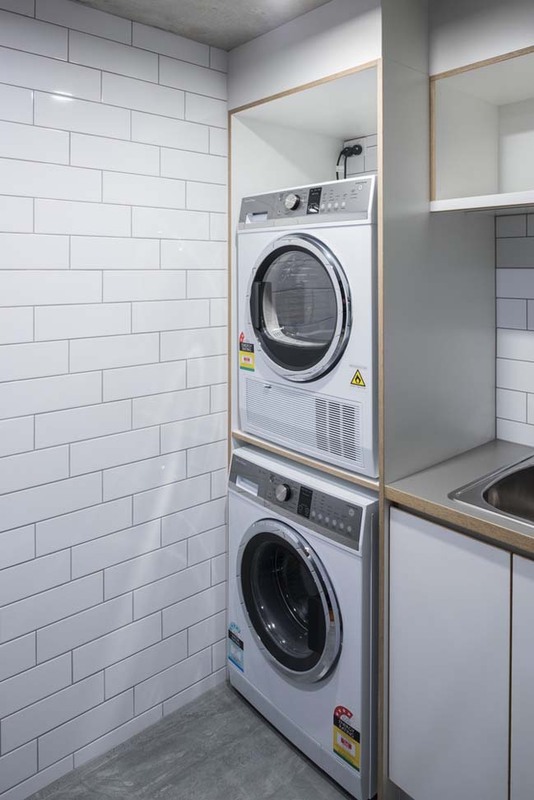 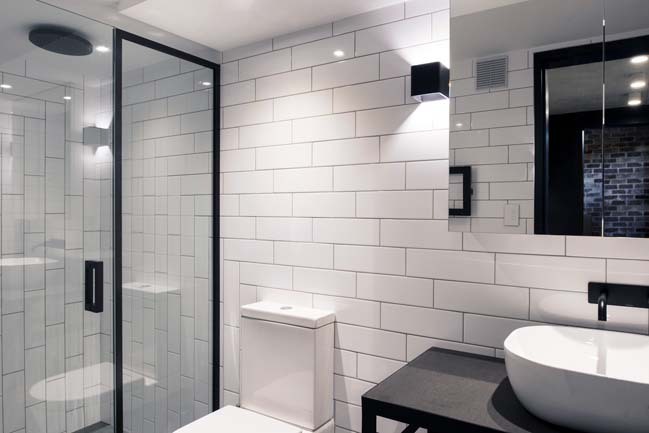 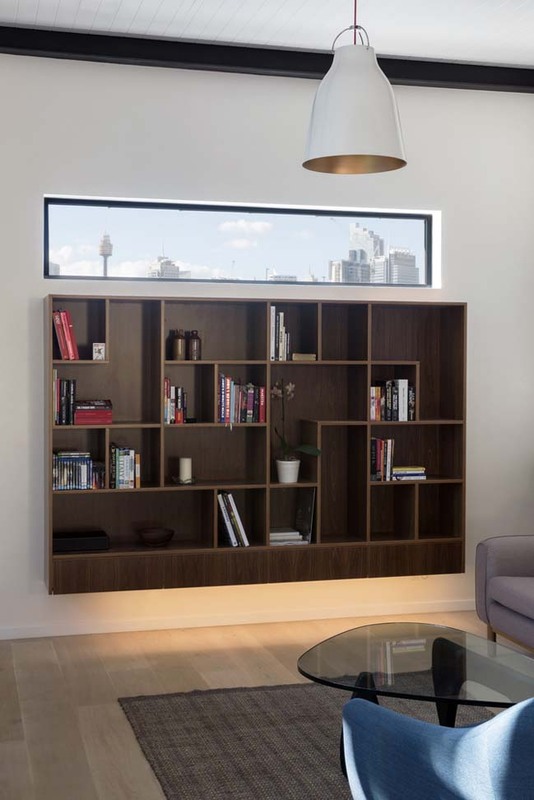 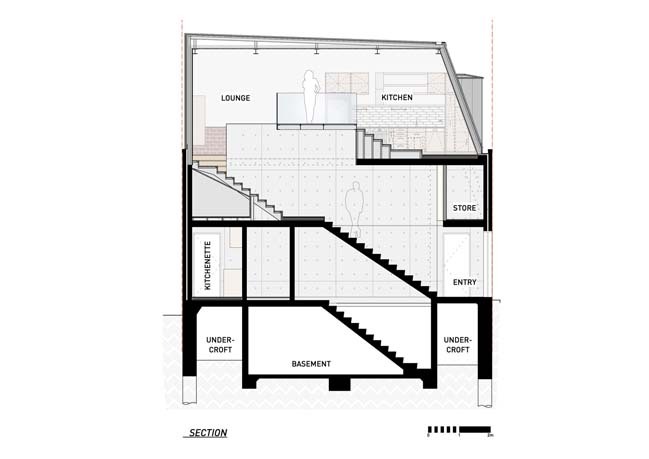 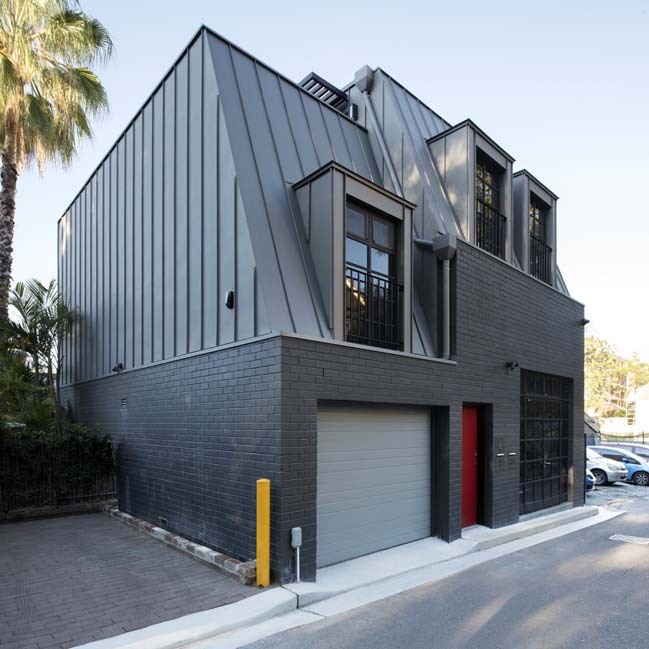 Project's description: This shop-top-housing project is located on a small back lane in a Heritage Conservation Area in Sydney’s inner-west bustling suburb of Glebe. 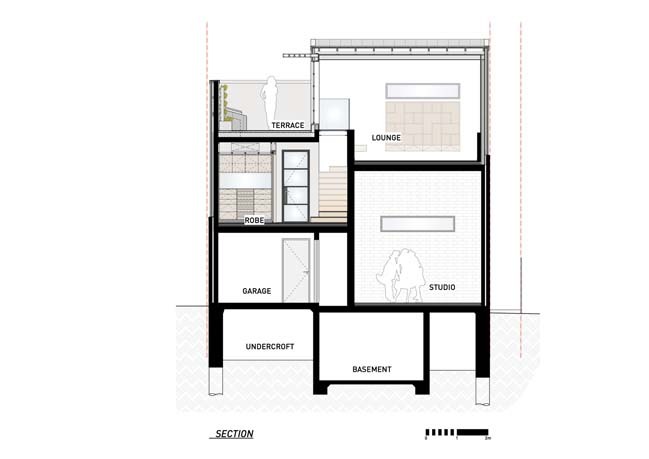 The new building makes maximum use of the available small site of only 92sqm by extending to all boundaries and pushing the private open space up to the top. 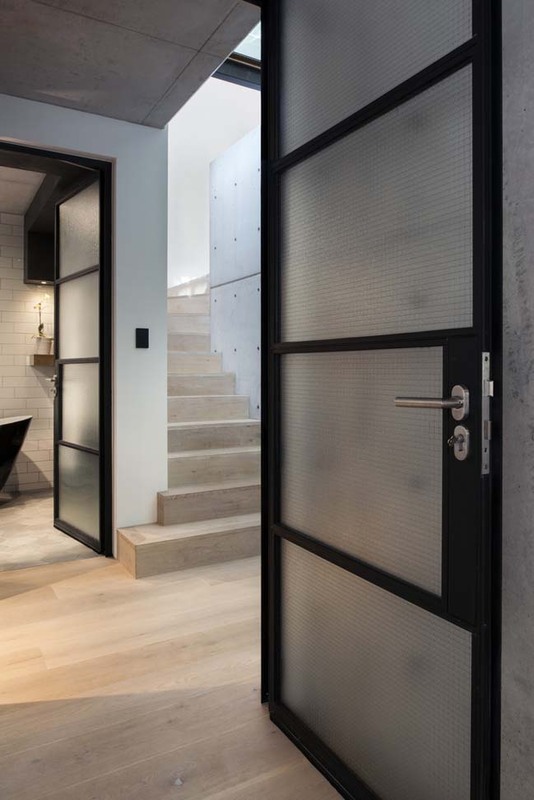 The house draws inspiration from previous centuries european architecture translated into modern details. 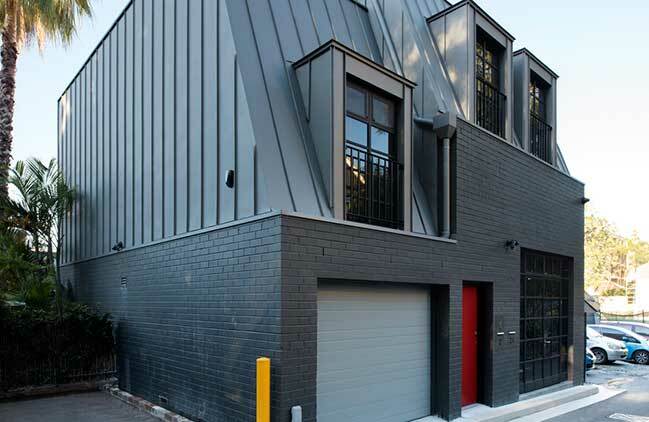 The zinc roofing is wrapped around as standing-seam wall cladding to the upper floors, while the bottom level dark painted brick grounds the building in its setting. 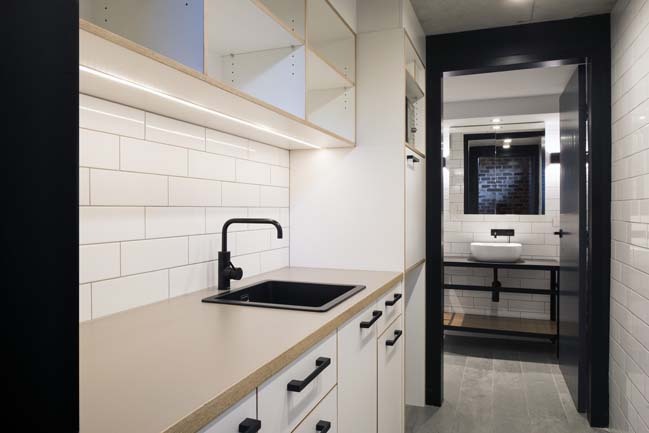 At street level the self-contained studio with its own kitchen and bathroom provides the opportunity to be rented out separately or live above your own workplace. 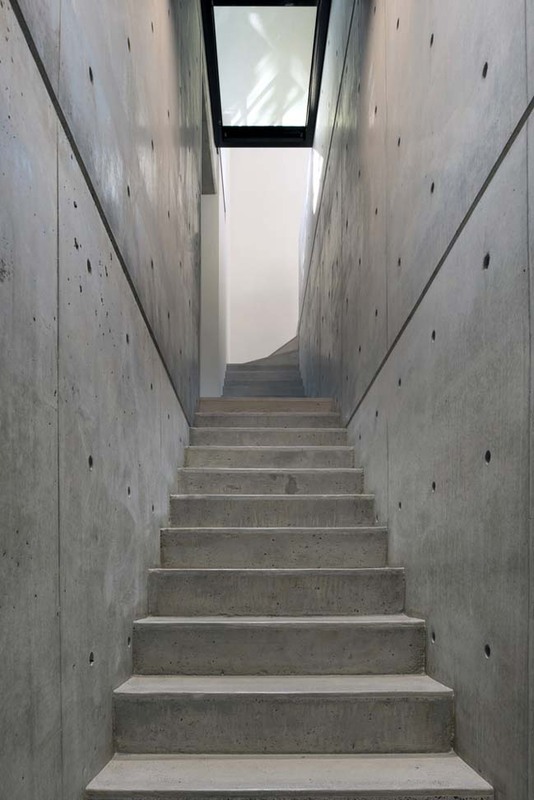 An all concrete staircase leads up to the residential part of the building. 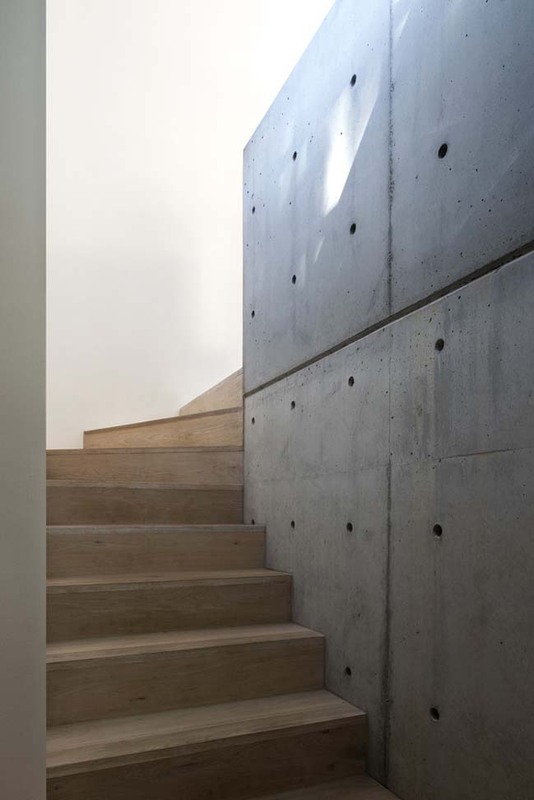 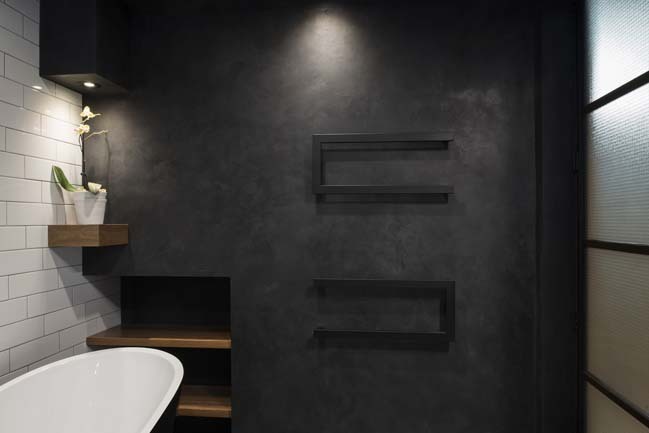 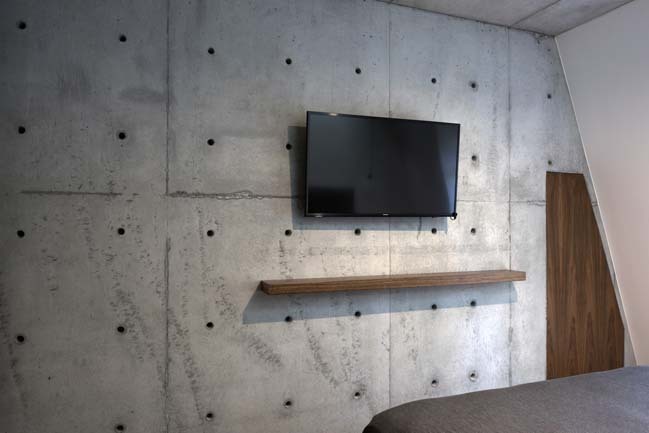 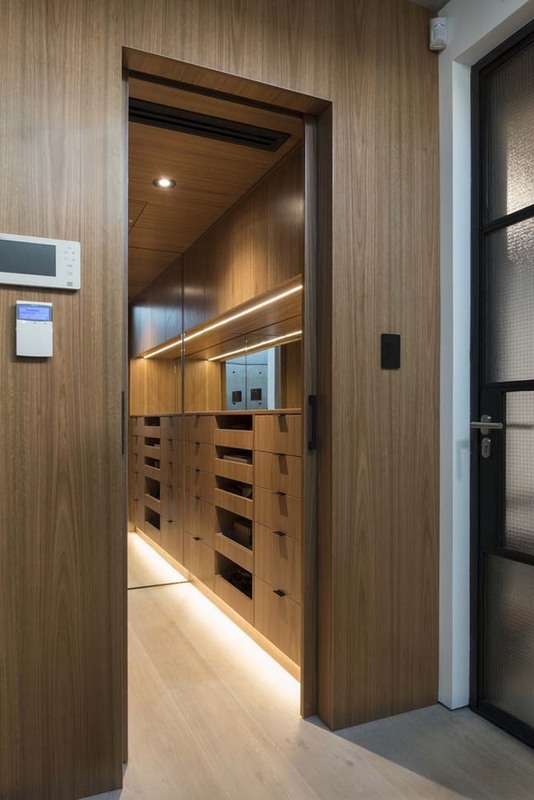 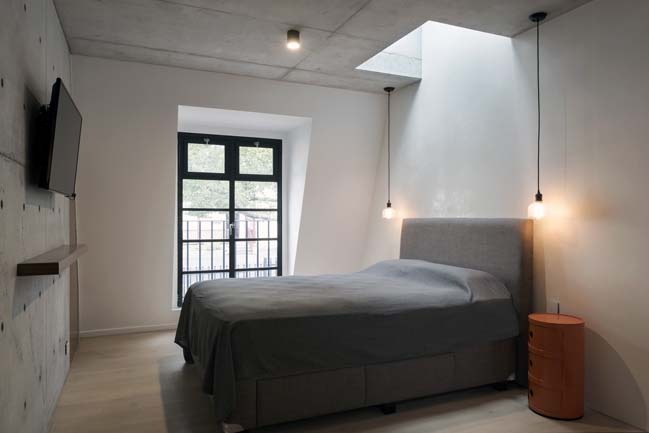 The material palette that was chosen for the interior consists of concrete, timber, steel and glass, assigning each material its well determined place to provide a modern and uncluttered aesthetic. 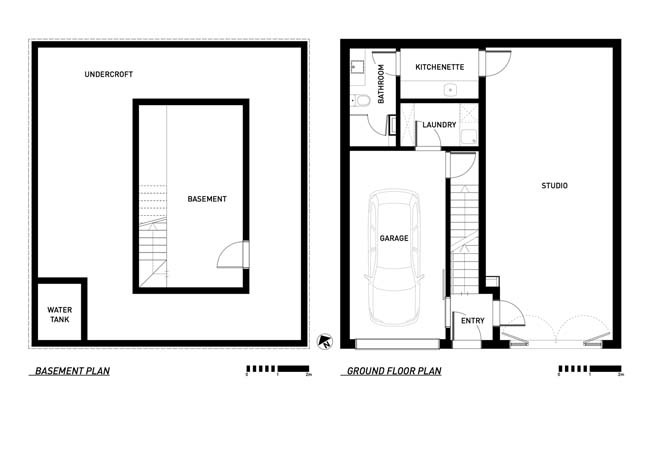 The middle level houses the bedroom, robe and bathroom. 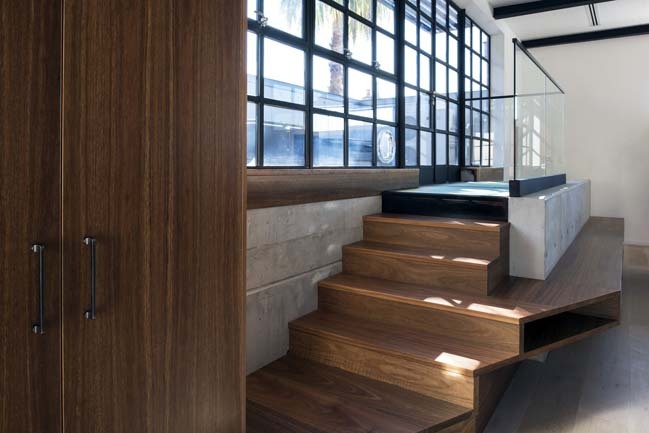 Light coloured wooden floors continue up the second set of stairs and throughout the top floor main living, dining and kitchen which has been kept open plan. 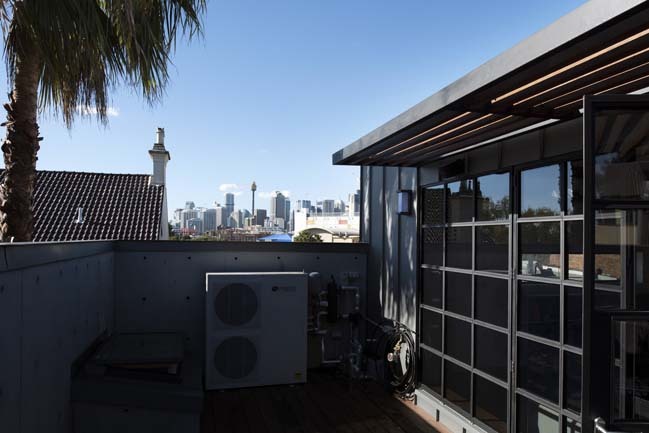 The high balustrades of the roof terrace give total privacy to the occupants and neighbours, whilst allowing views of the surrounding treetops and glimpse of city skyline. 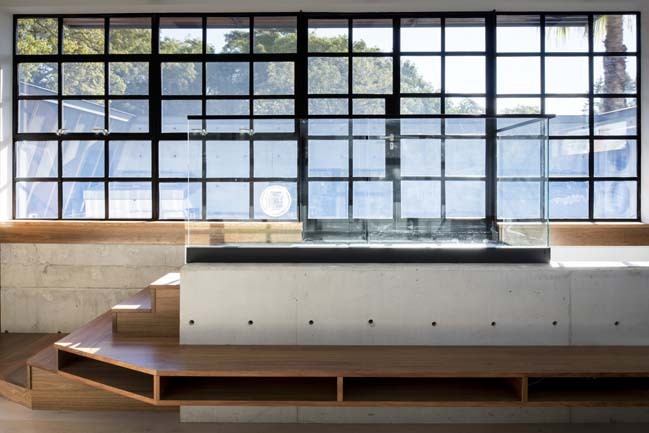 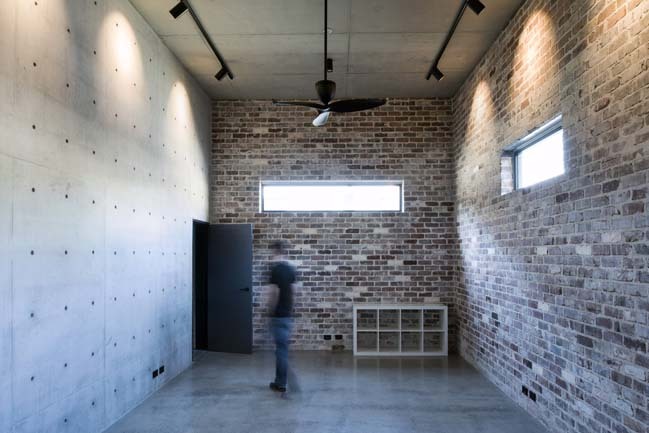 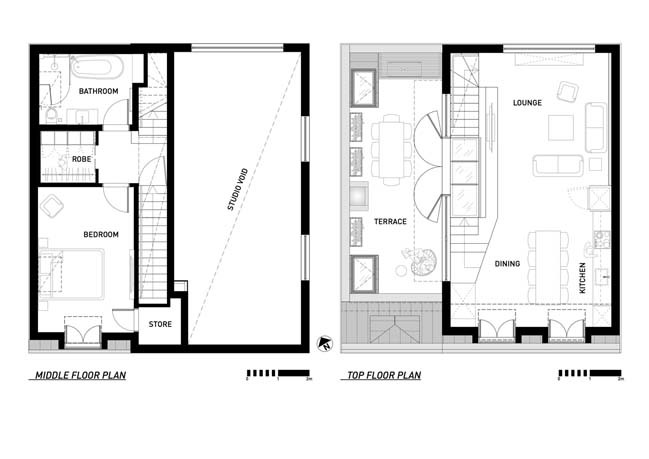 Although appearing compact from the outside the house surprises with space and natural light on the inside.